Rose Queen raises thousands for hospice! 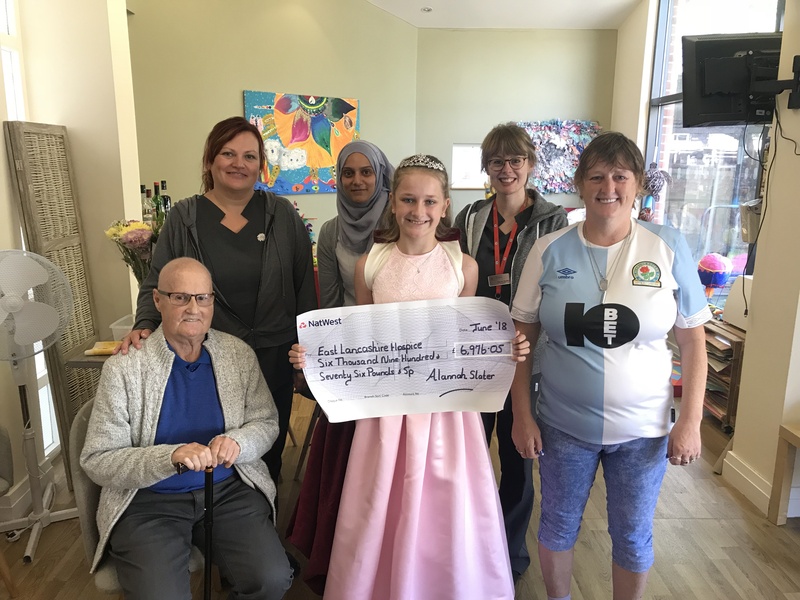 Alannah Slater, age 12 from Mellor was crowned the Rose Queen at St Mary’s Church last year and chose East Lancashire Hospice to raise money for. The Rose Queen set herself a target of £1,000 for the year, but overall raised an incredible £6,976.05. Alannah took on various activities to raise money for her local hospice, including taking part in the Starlight Memories Walk 2017, selling her old toys, sewing items to sell on a stall at the hospice Christmas Fayre and lots of baking. During her School holidays, she visited the hospice to spend time with the Creative at Support Therapy members by getting involved with their craft afternoons. After Alannah’s successful and amazing year of raising money as part of being the Rose Queen, she has decided to carry on her support and carry on raising money for her local hospice.